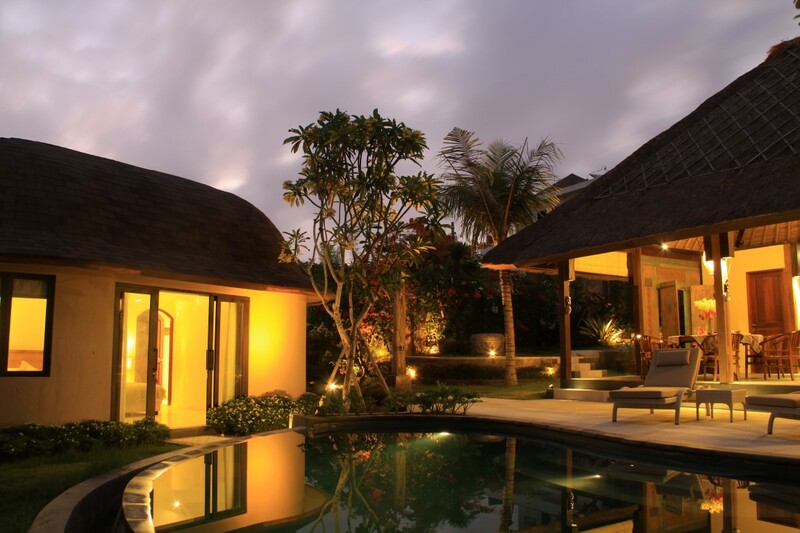 The front door is a typical Javanese door, open it and you will discover the living area of the villa with living room, kitchen with a central island for a maximum of conviviality. 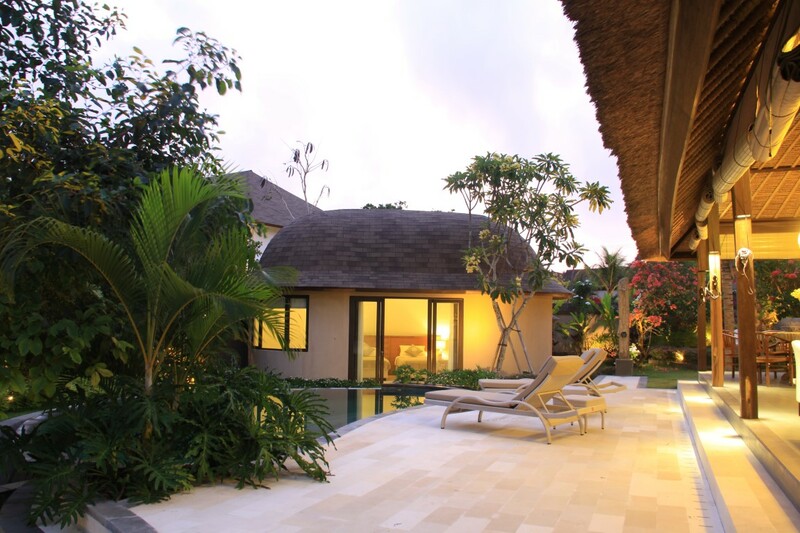 This villa is different from the other one because of the shape of the bedrooms but also the pool design. 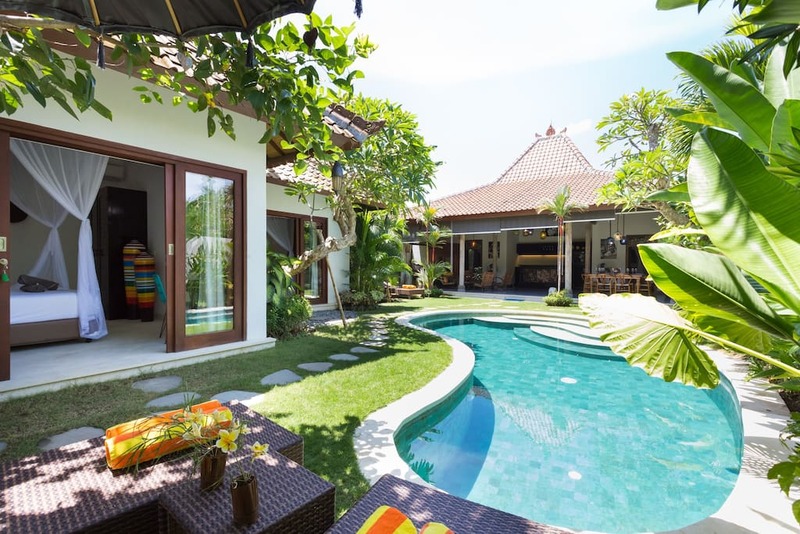 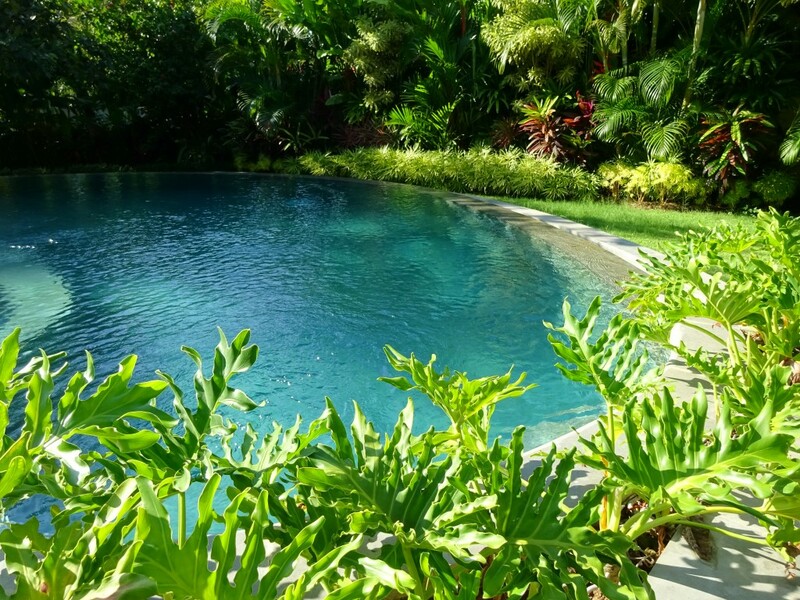 It’s a two bedrooms villa and can welcome till 4 guest, there is one master bedroom connected to the villa and the other room is in a independent bungalow in the garden. 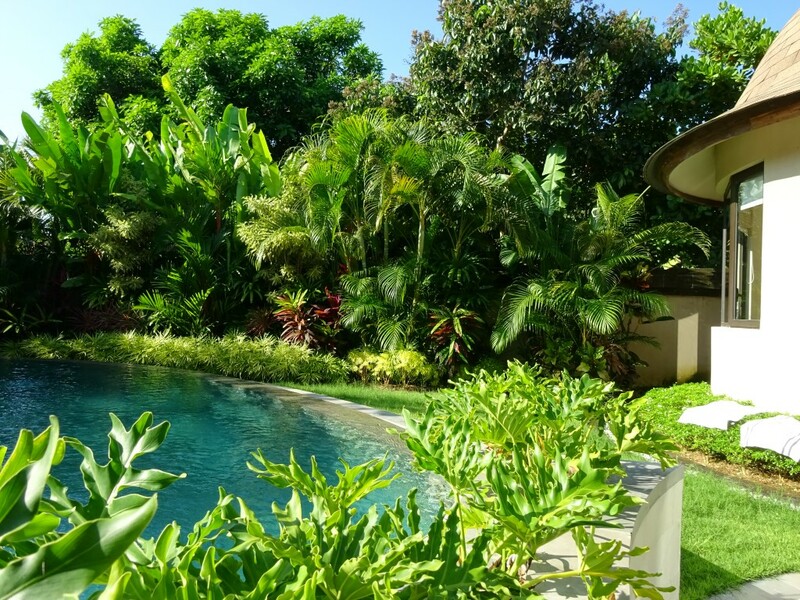 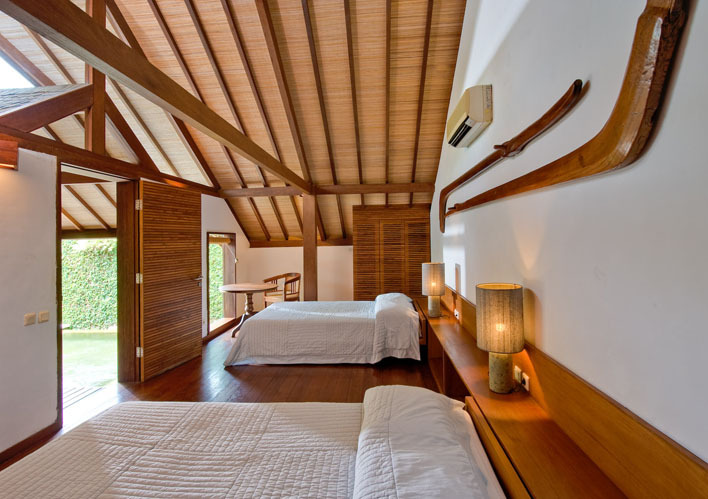 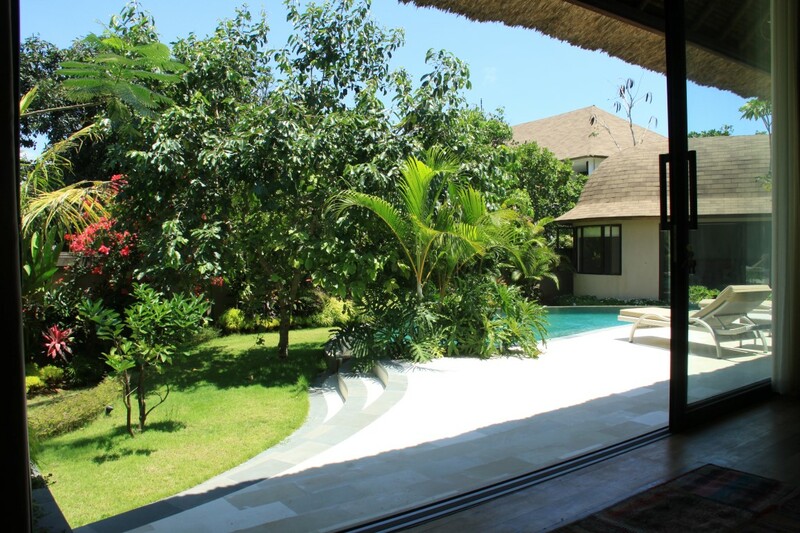 The master bedroom get a sliding door overlooking the teras and the pool and give access to the tropical garden. 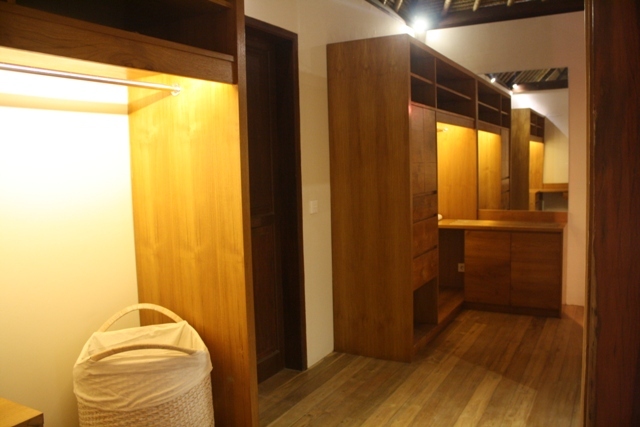 In this room, you have a comfortable atmosphere, thanks to the wood decoration and the large mirror that give a warm light, you have a large dressing between the room and the bathroom partially opened on the outside. 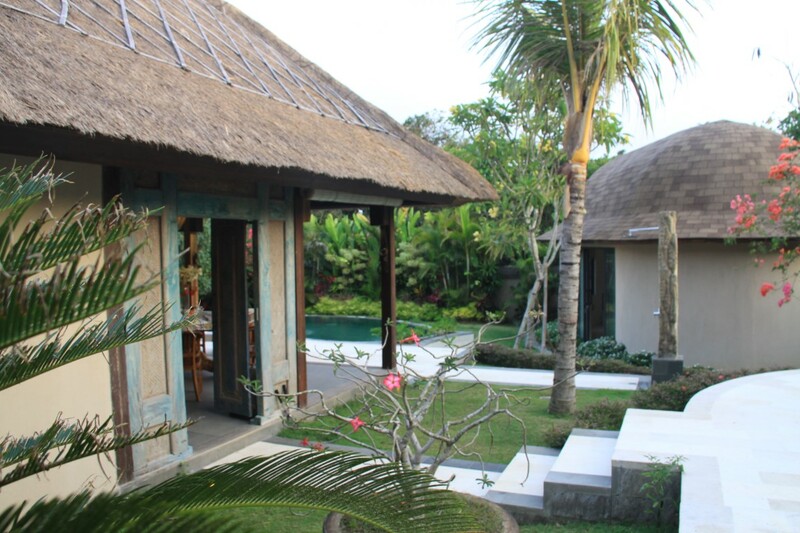 The second bedroom is completely independent from the villa, in the room you have a twin’s bed that can be joint to make a king size bed, the bathroom is outside in a typical Balinese style. 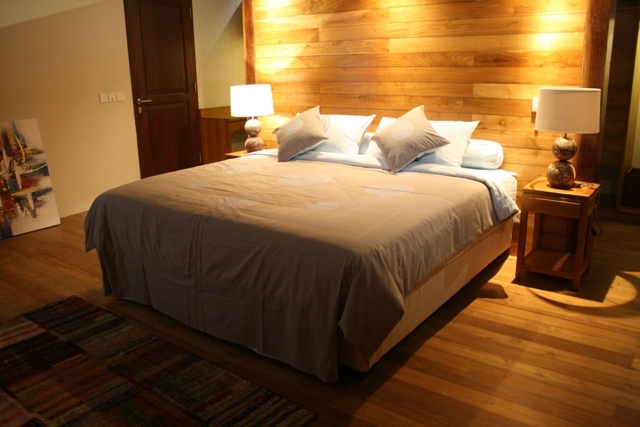 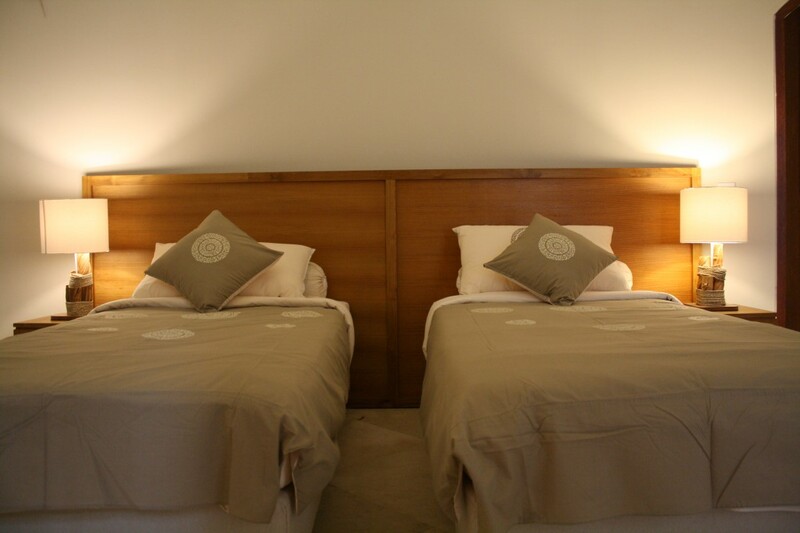 Both rooms are fully equipped with air conditioner, TV, HIFI Bluetooth and WIFI. 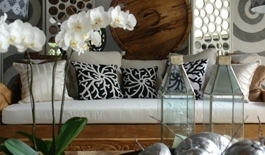 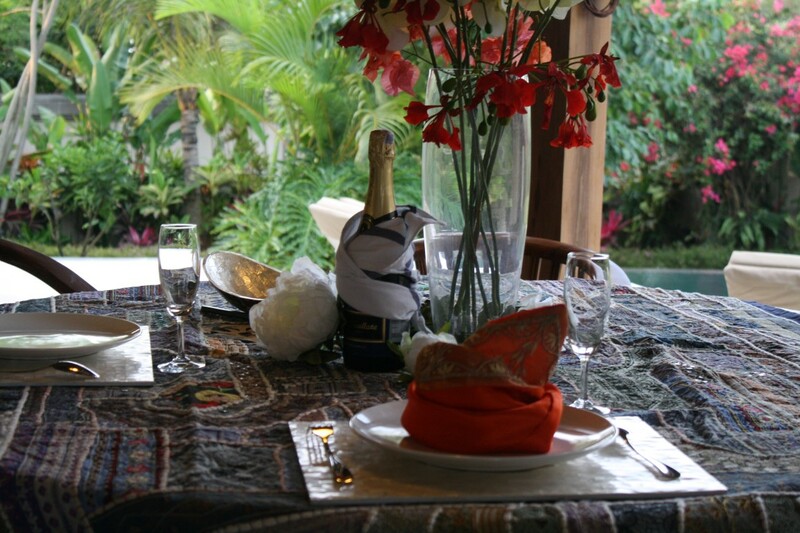 We are waiting to welcome you in the villa Lalita, for your unforgettable stay in Bali.